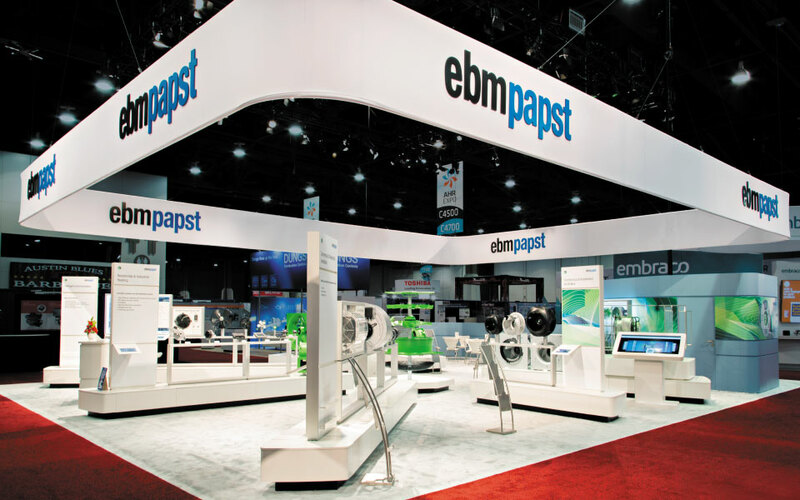 Ebm-papst is a worldwide innovation leader of fans and motors with over 15,000 different product offerings. 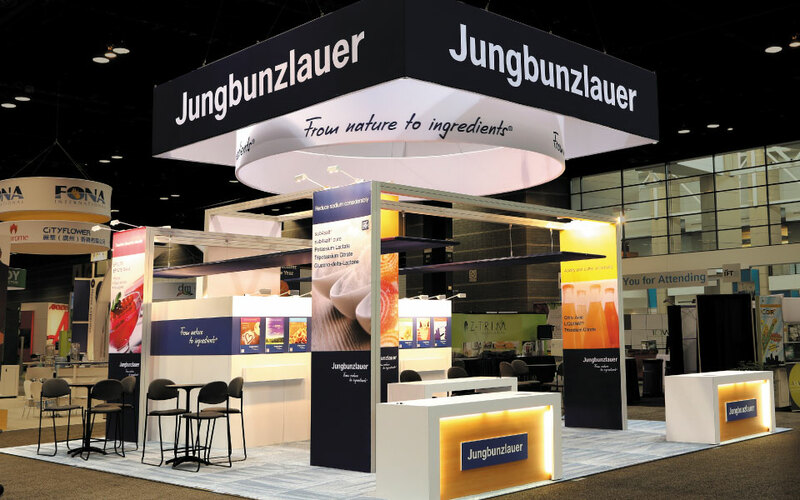 Their corporate look is clean, precise and refined. 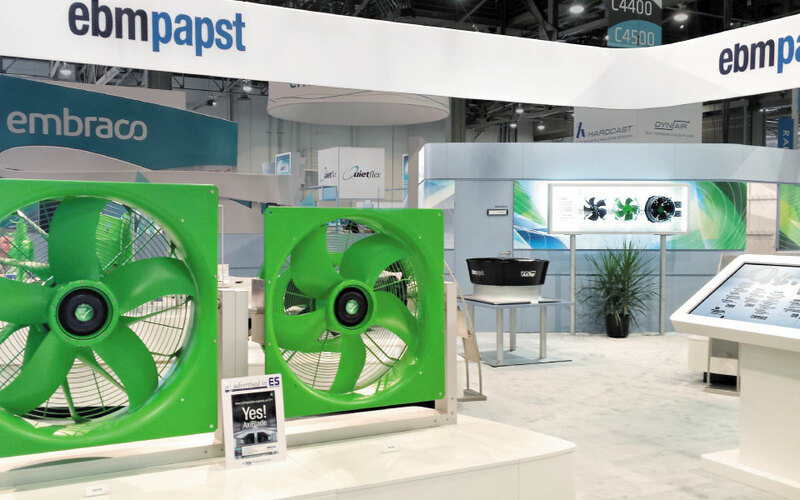 To promote their products ebm-papst utilized a 40’ x 50’ booth space at the AHR Expo. 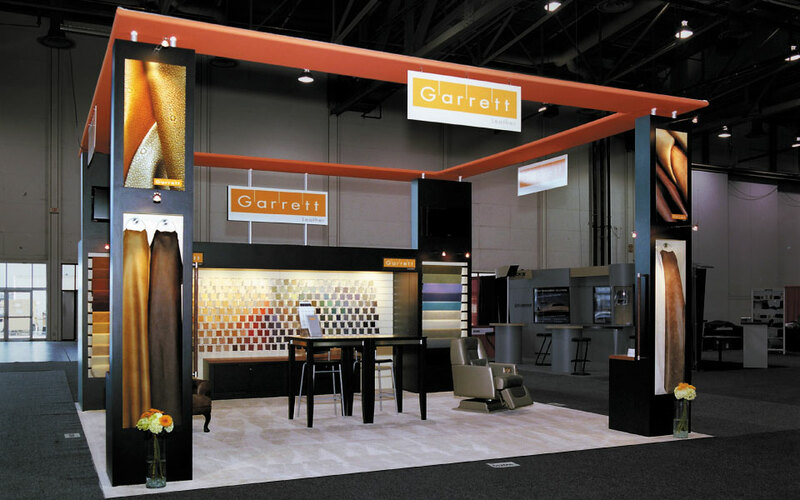 Their custom exhibit combined simple architecture and effective theatrical lighting to stand out in the otherwise dark trade show hall. 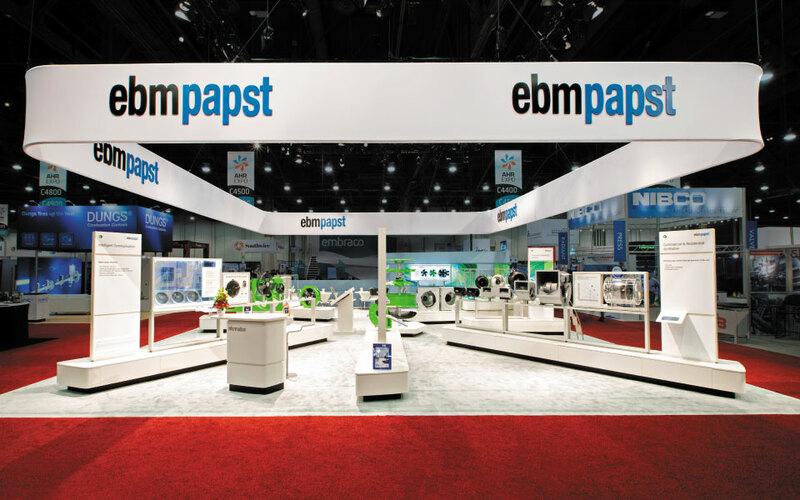 Often overlooked, proper event lighting is an effective tool in a successful trade show program. Strategically focused lighting guided attendees to fully functioning fan displays where they could experience them first hand. 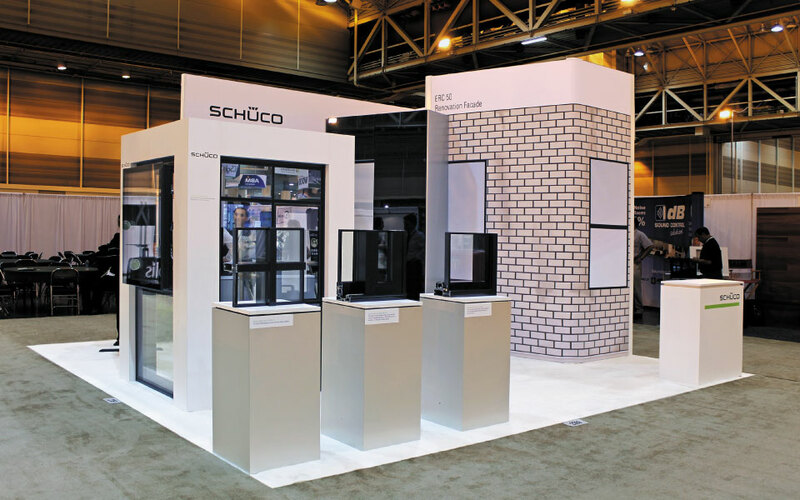 Graphic towers and tablet stands accompanied product displays adding to the interactive experience. 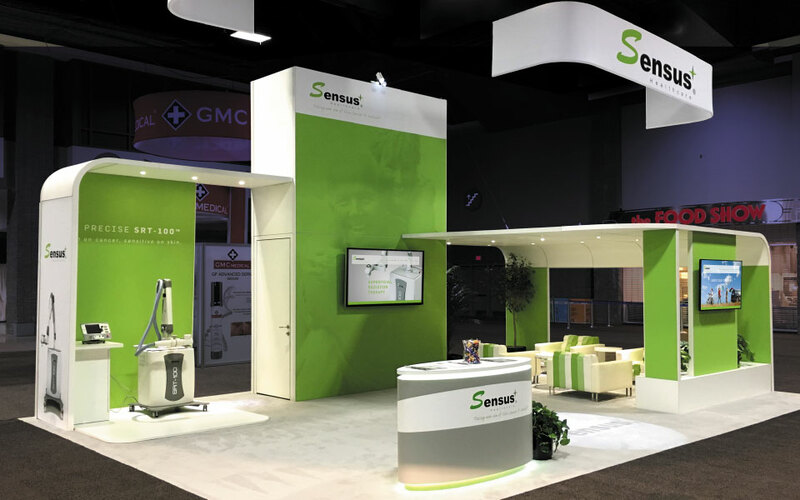 In addition, a custom kiosk with touch screen technologies educated attendees with specific product specifications.